Brand new LEGO Architecture Eiffel Tower set 21019 in unopened box. Set is now retired and unavailable to buy in shops. Free P&P – will be well packaged and dispatched within one working day. LEGO Architecture The Eiffel Tower Landmark 21019 No Box Or Instructions. Condition is used. What you get is what you see, I cannot guarantee whether it is complete or not. Genuine Lego. Instruction booklet included. Lego Architecture Eiffel Tower. Condition is New. Dispatched with Royal Mail 1st Class. Boxed with instructions, parts are all in good condition, box is a bit squashed. Set is 100% with a couple of extra small parts. Presenting the LEGO® Architecture interpretation of one of the most iconic landmarks ever constructed – The Eiffel Tower! Build your own LEGO® interpretation of the iconic Eiffel Tower! Interpretation of real-world architectural landmark The Eiffel Tower in LEGO® bricks. Presenting the LEGO® Architecture interpretation of one of the most iconic landmarks ever constructed – The Eiffel Tower! Interpretation of real-world architectural landmark The Eiffel Tower in LEGO® bricks. Lego 21019 - Architecture - The Eiffel Tower - MISB - New - Sealed Lego set will be sent in outer box to ensure no damage in transit. Thanks for looking. The set is new and sealed. 3 Lego Architecture sets as pictured. 21002 Empire State Building complete with no box or instructions. 21019 Eiffel Tower complete with box and instructions plus additional name plate in French. 21036 Arc De Triomphe complete with box, instructions and spare parts. Please note that the pictures are of the items you will receive, any questions please ask and international bidders only if you use the global shipping option through Ebay. Lego eiffel tower 10181. 100% complete with instructions and box. box is in used condition as pictured. 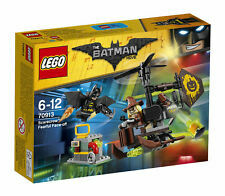 Please check out my other lego listings in my eBay shop. Feel free to subscribe for new and upcoming sets, used sets, rare and hard to find sets, minifigures, manuals and parts from all themes from my huge collection. All items are free delivery. Delivery by courier or collection in Tonbridge Kent area 40mins from London. Free uk mainland delivery only. Orders before 6pm weekdays are posted the following day No international or Isles postage including n.ireland. LEGO Architecture The Eiffel Tower Landmark. Built once and left constructed. Sorry no box or instructions. Set Number - 21036. Set Number 21019. Arc de Triomphe, Paris, France. Eiffel Tower, Paris, France. 2 x Lego sets. Architecture Landmark Collection. Lego Architecture Eiffel Tower (21019). Condition is New. Dispatched with eBay delivery – Shutl 2-3 days. Two retired Lego Architecture sets. Lego 21019 Eiffel Tower & Lego 21036 Arc de Triomphe. Both are brand new and sealed. Both retired and no longer available in stores. I am an AFOL and understand how important it is that Lego is securely wrapped to avoid damage whilst in transit. Hence, I always ensure that Lego is wrapped as if I were the intended recipient. Will be sent via Royal Mail Signed. From a pet free and a smoke free home. Interpretation of real-world architectural landmark, the The Eiffel Tower. Booklet included with details on the design, architecture and history of the Tower. Presenting the LEGO Architecture interpretation of one of the most iconic landmarks ever constructed – the Eiffel Tower. Build the Eiffel Tower Headquarters from 321 individual bricks. Have your own version of the iconic Eiffel Tower on your desk. Celebrate the architectural diversity of London with this detailed LEGO brick model. Safety Warning. Assembly Required Yes. Not suitable for Children under the age of 5. Item model number 21034. Item Weight 499 g.
Presenting the LEGO® Architecture interpretation of one of the most iconic landmarks ever constructed – The Eiffel Tower! Build your own LEGO® interpretation of the iconic Eiffel Tower! Great Lego Model released in 2014. Engino STEM Architecture Set - Eiffel Tower & Sydney Bridge. 21019 - The Eiffel Tower. Presenting the LEGO® Architecture interpretation of one of the most iconic landmarks ever constructed – The Eiffel Tower! 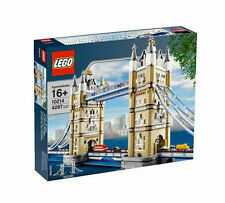 Build your own LEGO® interpretation of the iconic Eiffel Tower! LEGO Architecture 21019 The Eiffel Tower from 2014. LEGO Architecture 21019 The Eiffel Tower. Released in 2014 and since discontinued. Factory- sealed; unopened. Great condition - see photos. I am not a trader: when the sets are gone, they're gone and won't be replaced. Lego Architecture 21019 The Eiffel Tower. Condition is Used. Dispatched with Royal Mail Signed For® 2nd Class. Lovely Lego set LEGO 21019 Architecture - The Eiffel Tower. This set is in like new condition. Inventory has been checked and re-bagged. Box and book are all in excellent condition. Grab it while you can as this is a now a retired product. Lego Architecture 21019: Eiffel Tower. Devon House Clearance Treasures. 31-12-2018 11:27:48. Numéro de pièce fabricant 21019. Disponibilité de la marchandise. A la réception du colis, en cas de détérioration, vous pouvez refuser le colis en stipulant le motif. LEGO ARCHITECTURE EIFFEL TOWER 21019. 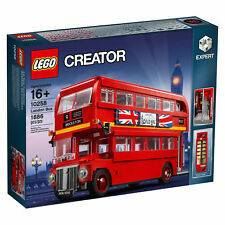 LEGO Set Number 21019. Presenting the LEGO® Architecture interpretation of one of the most iconic landmarks ever constructed – The Eiffel Tower! Build your own LEGO® interpretation of the iconic Eiffel Tower! LEGO Architecture 21019 The Eiffel Tower. (item): 21019. We present to you the LEGO® architecture interpretation of one of the most famous landmark that ever built: the Eiffel Tower! In the original 324 m high wrought iron engineering masterpiece was designed by the French entrepreneur Gustave Eiffel and built.